Historical Sites - Take a step back in time! Appanoose County Courthouse The cornerstone for the current Courthouse was laid on May 21, 1903. 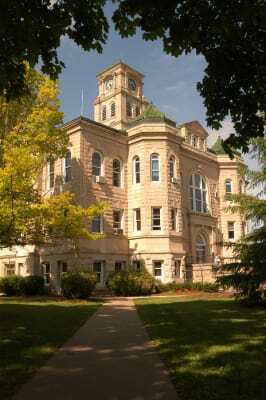 It cost $90,600 to build and was designed by the architects Smith and Gage. The exterior walls are covered with Bedford stone veneer and the roof is all tile. The clock tower, which rises from the middle of the building, sets the building apart from all others. The courthouse is situated on a large town square and is the pride of Centerville and Appanoose County. Appanoose County Historical & Coal Mining Museum The Appanoose County Historical & Coal Mining Museum is located at 100 West Maple, Hwy 2, Centerville. 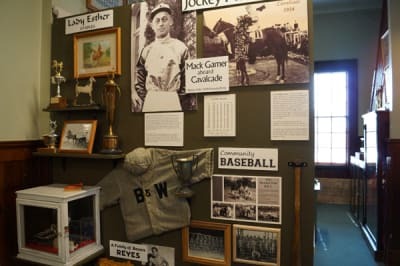 This former post offices houses an exhibit about Appanoose County’s Extraordinary Individuals, Indian artifacts, military displays, a fine arts exhibit, a vintage sign wall, china and glassware, post office display and a farm room. A replica of a coalmine includes mining tools, photos and a video. Open weekday afternoons from 1 to 5 p.m. and Saturday mornings from 10 a.m. to 2 p.m. from Memorial Day to Pancake Day. Closed holidays. Tours available at other times by appointment. For more information, call 641-856-8040 or visit their website. 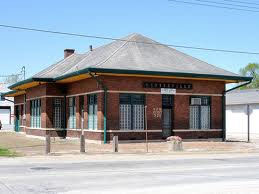 Chicago, Burlington and Quincy Railroad Depot brings back memories of a busy railroad serving passengers and providing freight and baggage service to the surrounding area. Built in 1910, it now serves as home to the VFW in Centerville. Exline Hose Co. #1 is a replica turn-of-the century firehouse located on Main Street in Exline just south of Centerville. It is home to Exline’s original 1923 fire truck as well as a 1923 Sinclair gas truck on the first floor and a museum on the second floor. Iowa Mormon Trail Interpretive Panels mark the campsites and points of crossing that the Mormons traveled en-route to Utah. Ruts from the wagon caravans are still visible. Two crossing can be viewed on the Chariton River: the Pioneer Trial west of Moulton and the Trace Trail at Rathbun Lake, 15 miles west of Moravia. For more information visit their website. One of a Kind Tea Room is located at the corner of Centerville’s 10th and State Streets. 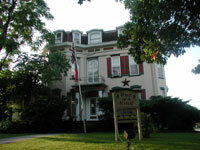 This structure, built in 1867, has served as a peddlers’ hotel, funeral home and now a bed and breakfast. 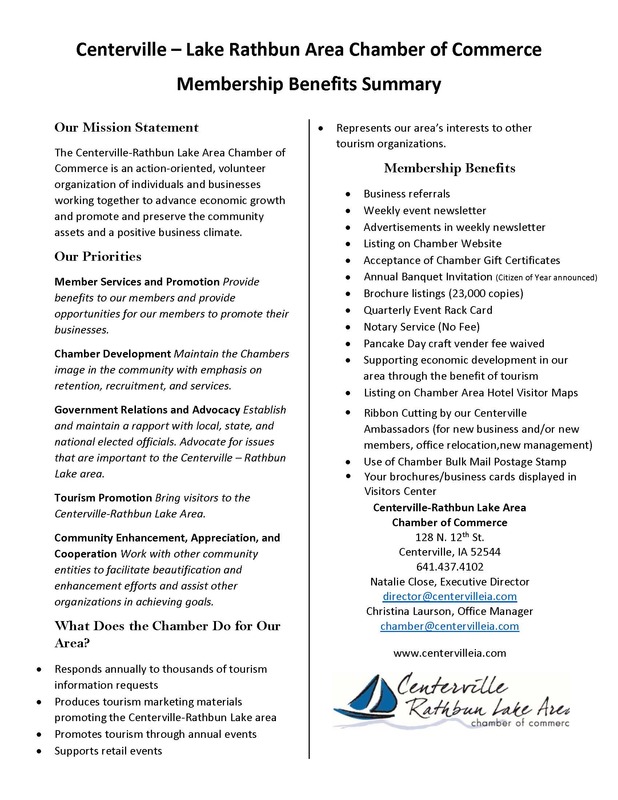 For more information, call 641-437-4540 or visit our website. 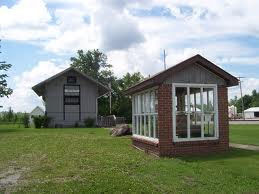 Moulton Historical Society in Moulton, Iowa includes Wabash Railroad memorabilia and a country schoolhouse. Open Memorial Day, Labor Day and Saturdays from 1 to 4 p.m. Tours by appointment. For more information, call 641-642-3384. The Shoppes at Bradley Hall is a beautifully restored historic turn-of-the century mansion that houses four floors of antiques, primitives, specialty gifts, hand-crafted item and more. Located at 519 Drake Avenue in Centerville. For more information, visit our website. 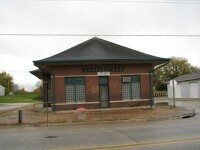 Wabash Depot Museum located in Moravia is listed on the National Register of Historic Places and is an example of rural combination depot used in the early 1900s. Railroad artifacts are on display with an operational model train layout. A restored railroad section car is also featured. Located at 800 West North Street in Moravia. For more information, 641-724-3777.